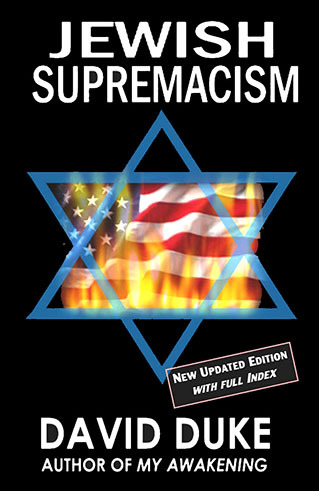 This method of quoting major Jewish figures and sources is used hundreds of times in Duke’s book to advance his thesis that there is a powerful Jewish supremacist element in Judaism and Zionism that threatens not only the freedom of the Palestinian people but all nations, including the United States. 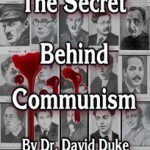 Duke also uses direct quotes from the Talmud and other major Jewish sources, such as the Jewish Encyclopedia to expose a long-standing cadre of hateful, anti-Gentile Jewish supremacists. Shocking quotes are displayed from major Jewish magazines that boast of a Jewish supremacy over the media and politics of the United States. He finds disturbing and hateful words from Jewish leaders, such as Ariel Sharon, which openly support genocide, and he reveals quotations from Israeli leaders who equate Zionism and Nazism. Of course, he also cites many prominent Gentiles of historical and contemporary times, but the Jewish quotations and sources have the greatest power. 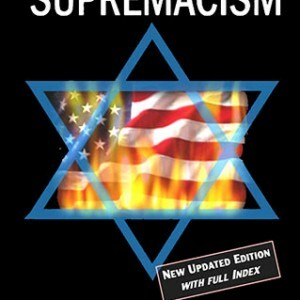 They are so convincing that Jewish leaders have sought to get the book banned in many nations. 365 pages, over 650 footnotes, complete new index, dozens of illustrations.